My harsh words were making my son angry and it was causing a bigger battle than was necessary. How often as mothers do we do this? When I began toning down my “angry voice” and using a softer volume as well as a calm voice, my son began to respond better. And so it has been with all my children. As a matter of fact, the change was quite dramatic. But how can we break the habit of reacting? Memorize Proverbs 15:1 and James 1:19. It will help when you find yourself in a situation when you’re tempted to act out of frustration. It’s a great reminder to diffuse a potentially worse scenario. When you ask obedience of your child, do so in a kind manner. Begin right from the start to have a pleasant tone. There really is no reason to get demanding. Be authoritative, but do so blamelessly. Keep your emotions removed. As hard as it is, don’t take it personal and don’t make it personal. If your child reacts to a direction, keep your emotions from becoming involved so that you can handle the situation clearly and calmly. Use touch to capture attention. In fact, get down to your child's level, gently touch their shoulders, look them in the eye, and speak in an even tone to them. The touch and eye contact can be enough to make sure you have your child's full attention. Raising children can be a very tedious job. It can be very difficult not to get frustrated, and angry with our children, especially when you have to handle the same situations over and over again. It requires supernatural patience. If we can train ourselves to speak gently to our children, what a victory God can accomplish in us! 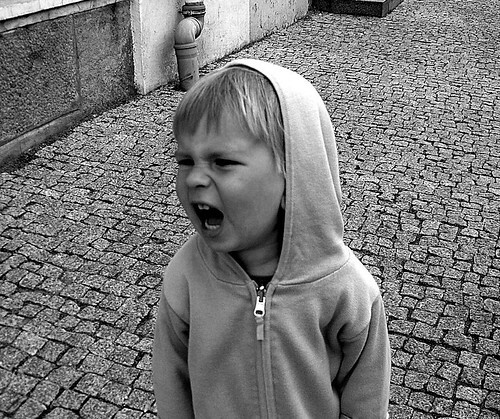 Showing anger and frustration toward our children on a regular basis will only train them to react in the same manner. In addition, it can cause resentment and make it doubly hard to teach and train them in the Lord. We need God to work in our heart so that we can lead our children. The way you discipline now will influence how your children will respond to life in the future. You are teaching your children how to think about life's challenges.